FAQ & Instructions - GreensPlease. Whole Food Green Smoothies. How long will my smoothie last in the fridge? Like any raw living produce, the sooner you consume it, the better. That being said, we recommend you drink it within four days of purchase for peak nutrition. It will last closer to seven days (if kept well chilled in the coldest part of your refrigerator), so don't dump it if you go beyond four days. There's still lots of nutrition and fiber left. We ask that you use common sense and discretion with these recommendations, if it tastes like it's fermenting, then it's time to let it go. However, we haven't seen it go bad in these times frames, yet. Everyone is different and we all have unique needs. One 16 oz. glass will technically give most men all the greens they need for a day (according to RDA ,standards). This amount is more than the average American consumes in a day, especially the super important dark leafy greens like kale, dandelion greens, and chard. We recommend a minimum of 16 oz. per adult. Listen to your body, it will tell you if more or less is needed. If fasting or cleansing, consuming a gallon per day is recommended. Will I Lose these symptoms? Will I never get sick? Will I never get cancer, etc.? We get questions like this all the time. We believe in the ability of our bodies to be healed of just about any disease, affliction, even cancer and other "incurables." Even better, to avoid all together. We believe nutrition plays a huge, but not the only role in this. 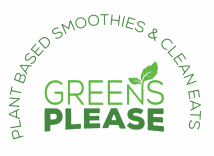 We have witnessed enough "miracles" to confidently lift the humble green smoothie up as an incredibly important addition to almost anyone's diet. Partaking in the immune boosting qualities of green smoothies has definitely built our own confidence in this amazing stuff - it's not just a theory! We believe the natural health world has documented and linked dark leafy greens with increased alkalinity directly combatting disease, increased metabolism, decreased cravings for sweets and junk food, and a myriad of other related topics, but encourage individuals to come to their own conclusions - we make no claims. We are not snake oil sales people, green smoothies and other drinks are not a drug. There are too many variables, including but not limited to genetics, history, current lifestyle choices, diet, among other things. Green smoothies are a very easy way to obtain lots of healing bio available nutrition. They are a catalyst towards making healthy dietary and lifestyle choices. These are the only choices we can make that have a direct impact on our current and future health. The term "liquid health insurance" is a probably the best description we've heard. Please don't neglect daily exercise, adding more plant based whole foods to your diet, and a positive attitude. I've heard you shouldn't mix fruit with vegetables? Mixing fruit with starchy vegetables will cause fermentation, bloating and gas. Unfortunately, dark leafy greens have been misnamed as "vegetables." They aren't vegetables at all! They are leaves and contain no starch whatsoever. The only side effect of mixing fruit with greens would be easier digestion due to the high amounts of living enzymes in both types of produce. "Dark leafy greens are one of the most nutrient dense food groups on the planet. In order to assimilate optimal amounts of those nutrients, one should chew greens roughly forty times between bites. Blending ruptures virtually every cell in the greens, presenting your body with easy to assimilate nutrition in otherwise impossible quantities." Victoria boutenko (condensed and paraphrased), Green for Life, page 20.